The other day, the U.S. Navy was about to issue a contract — nothing remarkable for an organization that awards dozens each week. 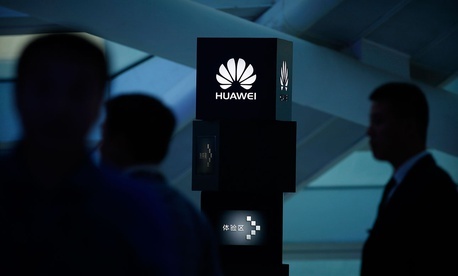 Then the contracting office realized that the specific division of the company they wanted to work with was in a joint venture with Chinese smartphone maker Huawei. All of a sudden, the service “turned around and said, ‘Whoa, stop the horses,’” Navy Secretary Richard Spencer told lawmakers Thursday. “The prime said, ‘No problem, we're not going to use any of the assets of Huawei nor its software.’ It was a very enjoyable call. And then all of a sudden we said, ‘Great, can we see the governance documents of the joint venture?’ And things got very frosty,” Spencer said in a Senate Armed Services Committee hearing. The Navy has now added prophylactic language into the contract. That language “outlined what our limits were for Huawei, which were not too much wiggle room at all,” the secretary told reporters after the hearing, and now the service is waiting to see how the company reacts. But the fact that a foreign firm tied to one of America’s largest potential adversaries was able to creep into the U.S. defense industrial base should be alarming, even if the Navy caught this instance. That’s what Pentagon leaders mean when they say China’s “coming at” the U.S. “across the full spectrum,” Spencer said. The U.S. government already vets foreign investment in American firms to evaluate their impact on national security, a process run by the inter-agency Committee on Foreign Investment in the United States, or CFIUS. Key lawmakers, including Senate Majority Whip John Cornyn, R-Texas, are proposing to update the process to better handle perceived threats like those from Chinese technology firms. But Spencer said there needs to be a better way for the military services to be more exacting and reliably catch things like this potential Navy contract.